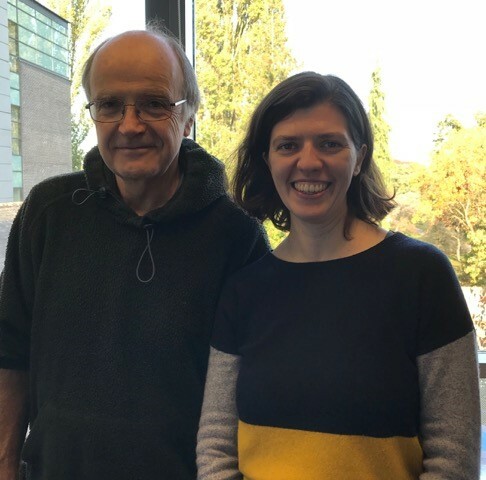 Dr Claudia Ribeiro de Almeida, a postdoc in Nick Proudfoot’s lab, is leaving the Sir William Dunn School of Pathology to set up her independent research group at the Babraham Institute in Cambridge, on 1st November 2018. Claudia, who joined the Proudfoot lab in August 2012 as an EMBO fellow, has been recruited by the Lymphocyte Signalling & Development programme at the Babraham Institute as a tenure-track group leader. The programme, which is core funded by the BBSRC, aims at understanding the signalling and control of the immune system, response to infections and effects of ageing on the immune system. The Institute’s research programme matches Claudia’s long-standing research interests during both her PhD studies at the Erasmus MC in Rotterdam (the Netherlands) and her postdoctoral work in Oxford, where her recent research examined proteins called helicases in B cells, a key component of the immune system. When asked about her achievement, Claudia commented: “I am thrilled to start my new research group at the Babraham Institute, where the scientific setting is very complementary to my research interests“, and added “I feel that I had a good time at the Dunn School and was given many opportunities to grow. Nick has been a supportive and generous mentor and I will always cherish my time in his lab. Throughout these years, and especially while I was preparing my next step, I have also had the help of many colleagues and other PIs in the department, who I would like to thank”. In particular, Claudia’s research group will study the molecular mechanisms underlying diversification of antibody genes by B cells, to gain insight into how B cells can effectively fight infection and the role these mechanisms play in age-related immune dysfunction. They will use a number of cellular and molecular biology tools together with mouse genetics, ex vivo cellular systems and in vitro biochemical assays, to investigate the function of RNA binding proteins in B cells undergoing immunoglobulin gene rearrangements – changes that ensure that B cells produce a tailored and highly specific antibody response against a wide range of pathogens. Read more about Claudia’s research group at the Babraham Institute here.